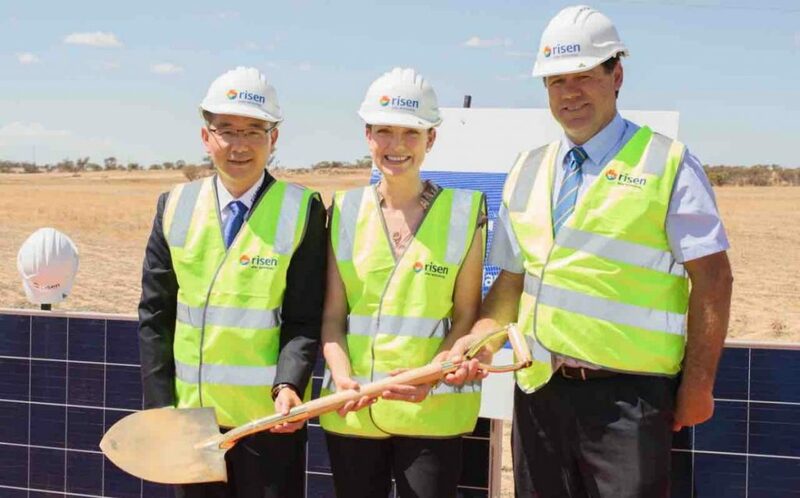 Last Friday saw a groundbreaking ceremony for the 132 MW Merredin Solar Farm project, which is being constructed just a few clicks from Merredin in Western Australia’s central wheatbelt. Developer of the solar farm Risen Energy says it’s the biggest solar farm committed to construction in WA1 and is expected to generate 281 gigawatt-hours of clean electricity a year. Approximately 360,000 Risen Energy solar panels will be installed at the site, which is within 460 hectares of former farming and grazing country adjacent to the Western Power Merredin Terminal. Merredin sits at the intersection of major high voltage transmission lines to Perth, Collie and Kalgoorlie. According to a Shire of Merredin document (PDF) from 2017 I dug up last year, there’s a potential second phase to this project that would involve installation of up to 50 MWh of battery storage. Risen anticipates approximately 200 jobs will be created during the construction phase of the facility and has committed to using local workers where possible. Once the solar farm is up and running, 3-5 full time workers will be needed to maintain the installation over its 30-year operational lifespan. The land will be returned to its original state once the plant is decommissioned. Construction of Merredin will continue throughout much of this year, with commissioning and electricity sales expected to commence in the final quarter of 2019. The groundbreaking ceremony, attended by Member for Central Wheatbelt Mia Davies MLA, Shire of Merredin President Cr Ken Hooper and General Manager Risen Energy (Australia) Eric Lee, followed information sessions conducted by Risen Energy for community members and local contractors interested in getting a look-in on the project. The Merredin project is Risen’s second acquisition of a utility-scale solar farm in Australia, with the first being Yarranlea Solar Farm – construction of which is under way. The company has set a goal of establishing 2GW of utility scale solar capacity in Australia over the next few years. The firm’s parent company, Risen Energy Co., Ltd was founded in 1986 and was listed on the Shenzhen Stock Exchange Market in 2010. It established a presence in the Australian market in 2008. According to the company, it was the seventh largest PV module supplier in the world in 2017. That probably isn’t an idle boast – according to GlobalData’s solar panel shipment rankings for 2018, Risen shipped 4.8 GW of modules last year, up considerably on 2017’s 2.5GW and placing it again at no.7. 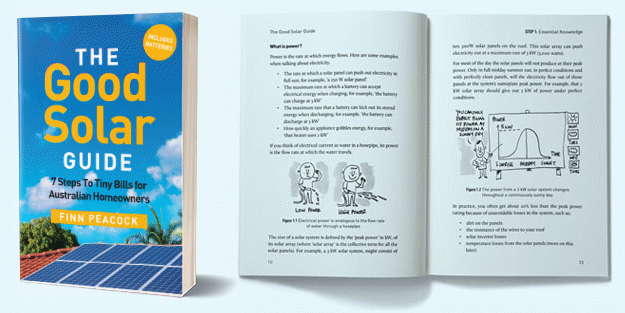 Next Article: South Australia’s Home Battery Scheme – Where’s It At? An estimate of the total cost is $160 million so that would be $1.21 a watt for large scale solar on trackers in WA. But an annual output of 281 gigawatt-hours from 132 megawatts of panels seems too high even with trackers. I would expect more like 260 gigawatt-hours, but I could be wrong on this.